You'll see some of our patients' cases, their before and after. 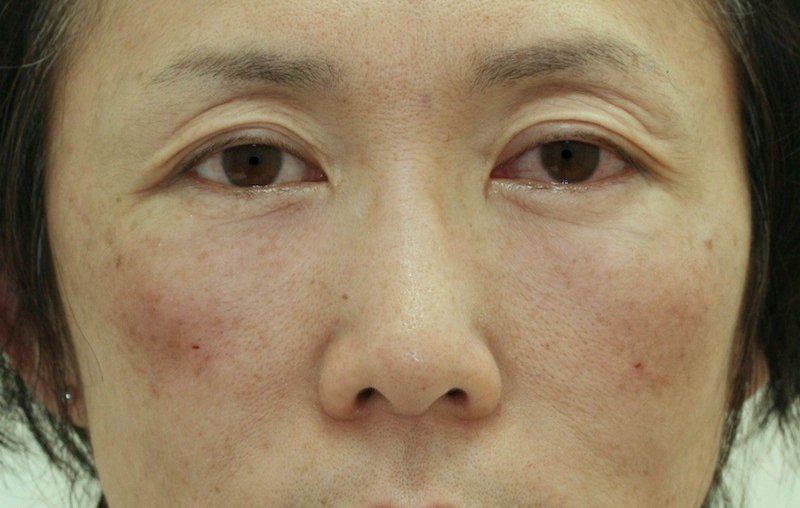 The "after" picture was taken about a month after the treatment was done. She looked much younger than before particularly because of the change in the central parts of her cheeks. 2. 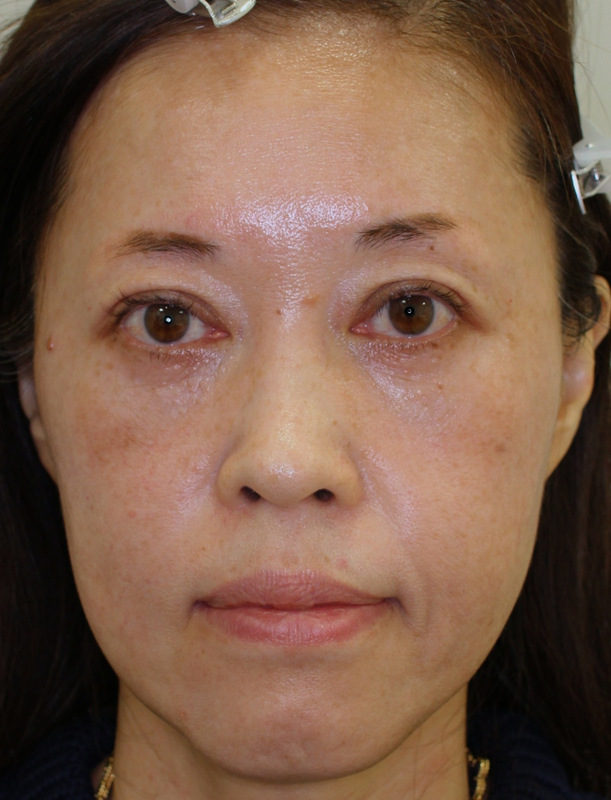 Blue eye bags-these eye bags are mainly seen in people who received Hyaluronic acid injection or who tend to develop swelling easily. The "after" picture was taken about a month after the treatment. The puffiness under her eyes is gone and her cheeks look lifted. 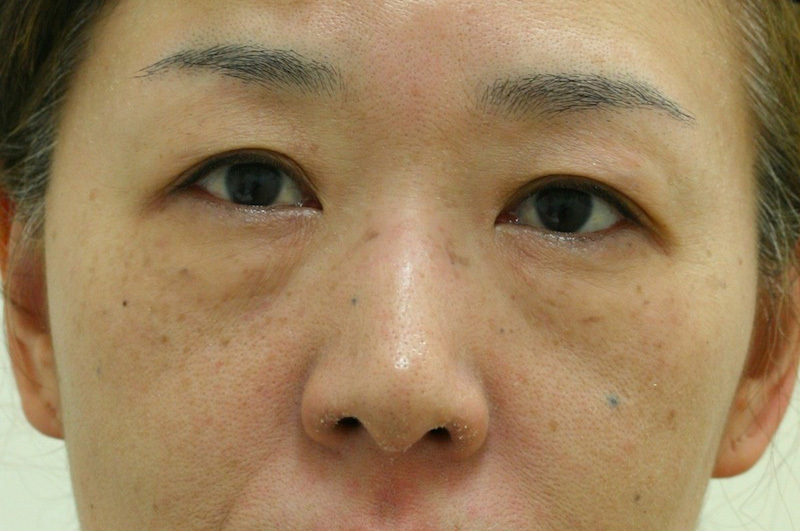 This proves that only Hyaluronic acid injection cannot cure the symtoms such as present in her case. The "after" picture was taken about a month after the treatment. The puffs under eyes disappeared and her cheeks looked lifted. 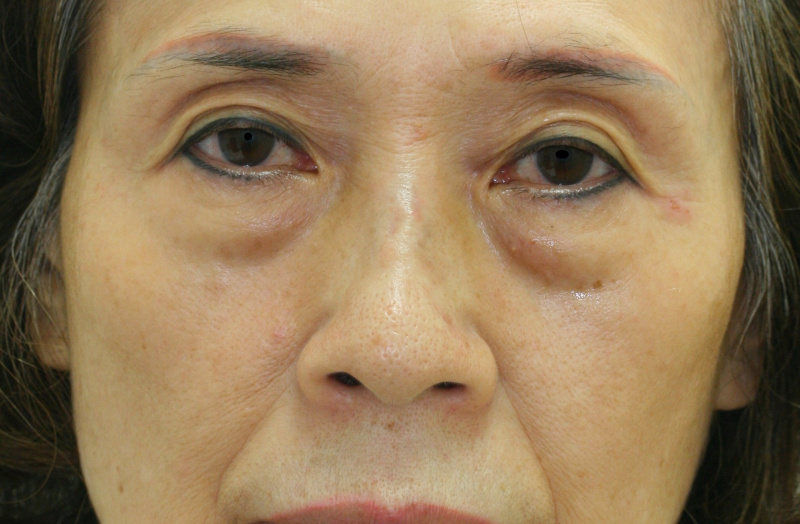 In some cases of treatment of sagging fat, removal of a part of skin and orbicularis oculi muscle may be needed. However, in this case, I could achieve a satisfactory result just by degreasing and lipo transfer. 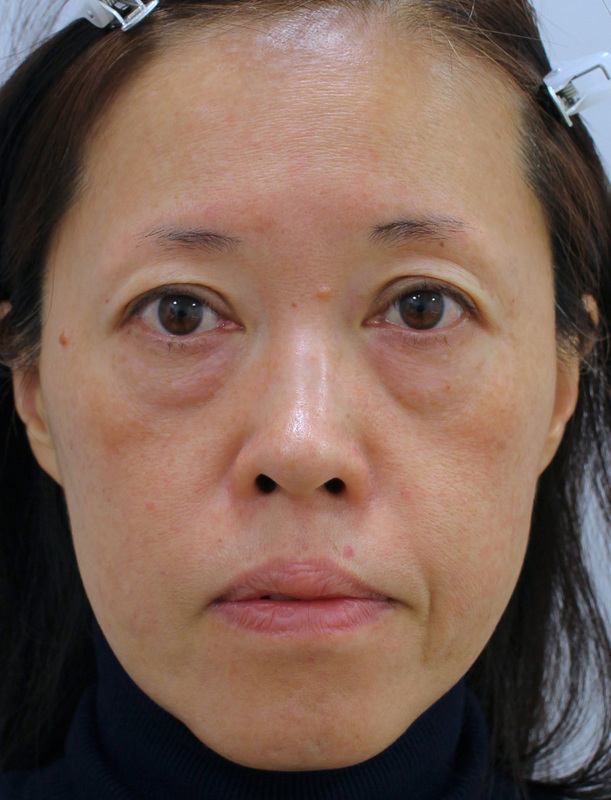 The puffiness under her eyes was caused by the orbital fat pad inflation. She had both black and red eye bags. 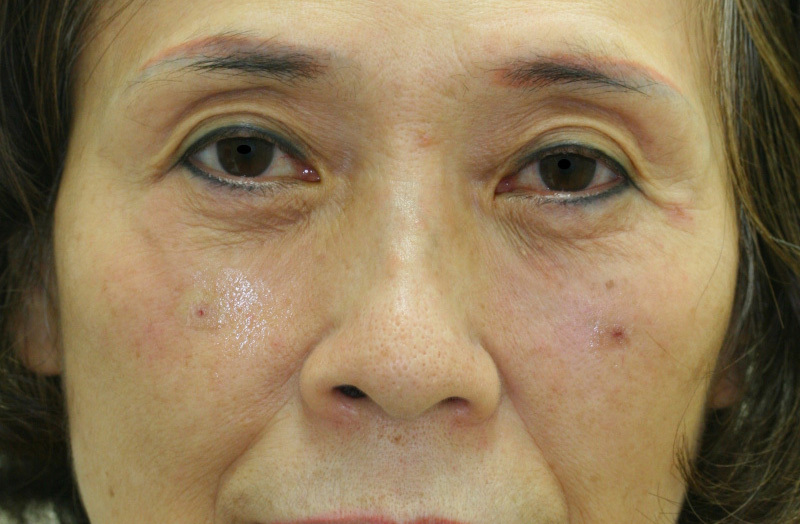 Her orbital fat pad looked like it is descending. 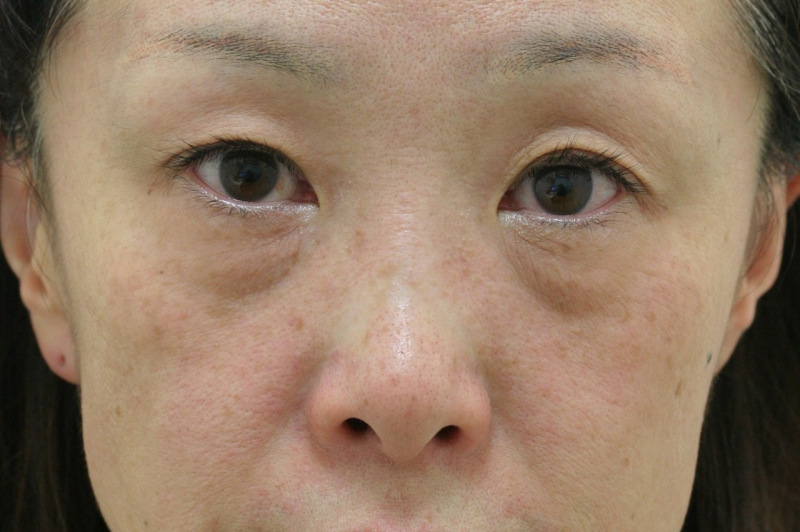 Such patients often have loose skin and muscles. 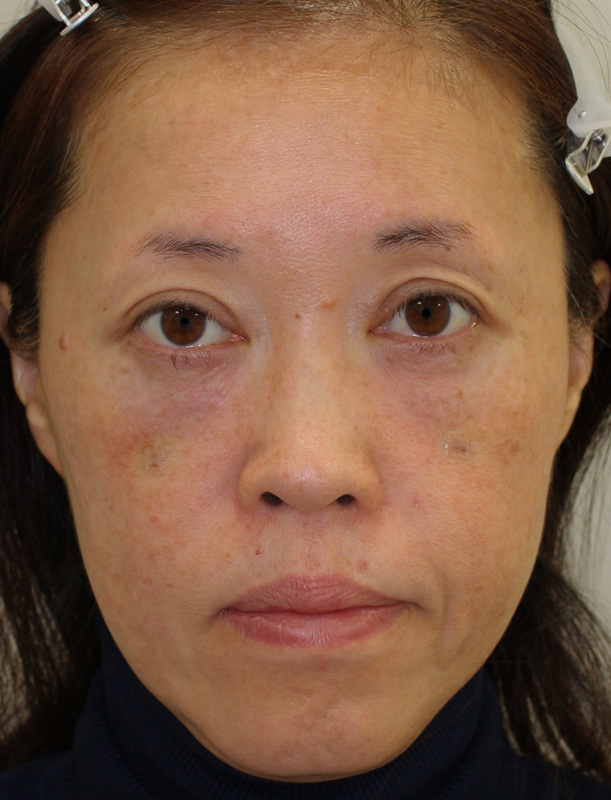 She looked ten years younger than before with her smooth under eye area. 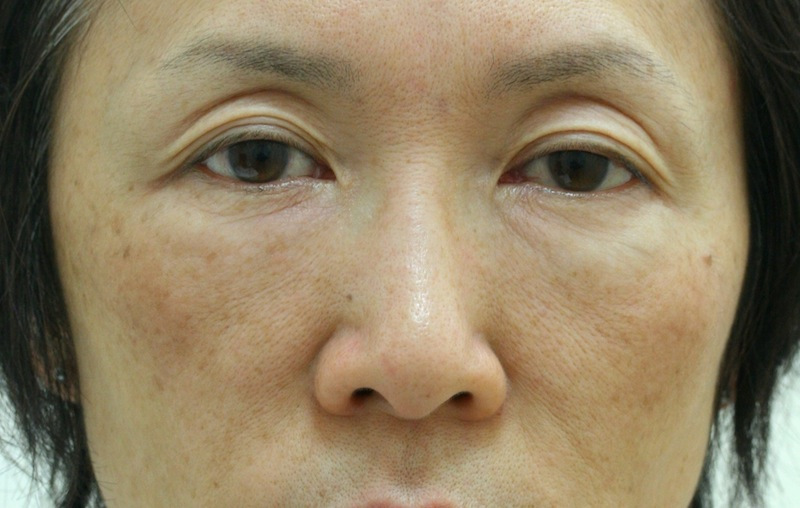 In this kind of treatment, it is extremely important to even out the under eye skin. The "after" picture was taken about a month after the treatment. The puffiness under her eyes was gone and her cheeks looked lifted.